IT Cover Letters which are a type of business letters stand as versatile means of communication accompanying each resume being sent to the employer. It works as an introduction, expressing one’s identity and the reason for sending a resume. It reinforces the qualifications mentioned in the resume depicting how one’s skills and identity will be suitable for the company. It is always attached to online or mailed resumes. Here is a list of Sample Cover Letters. This depicts how the anatomy of a cover letter, thank you note, online application, letter of inquiry, follow up, and informational interview request is to be constructed with providing examples. This sample explains the various steps of writing a standard letter of application, thank you note, online application, letter of inquiry, follow up letters and informational interview request, personalizing each for every job. 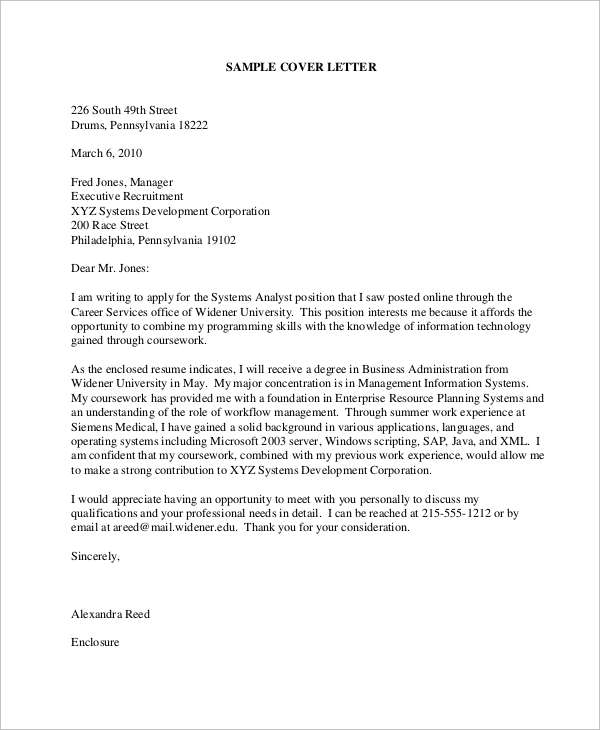 This sample explains the enumerates rules and regulations for writing and sending cover letters, follow-up letter in case of no reply and thank you letters with format related samples for each one. 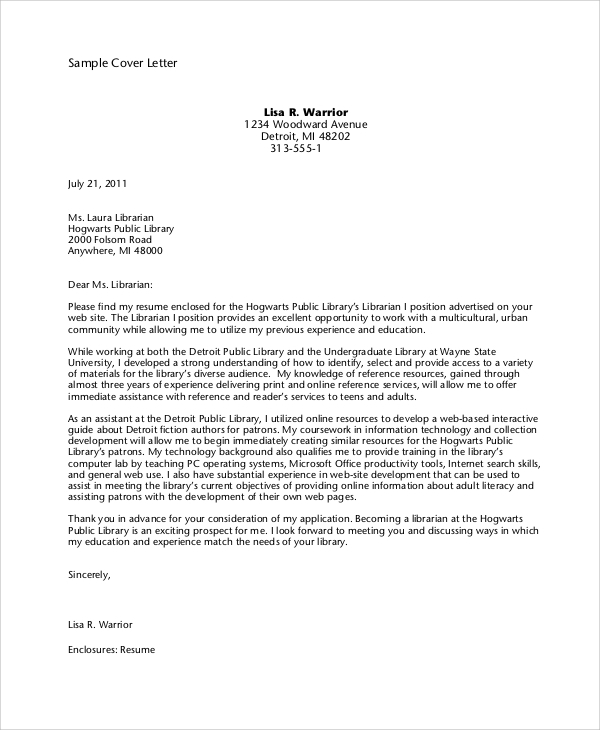 Why are the Sample Email Cover Letters Samples useful? 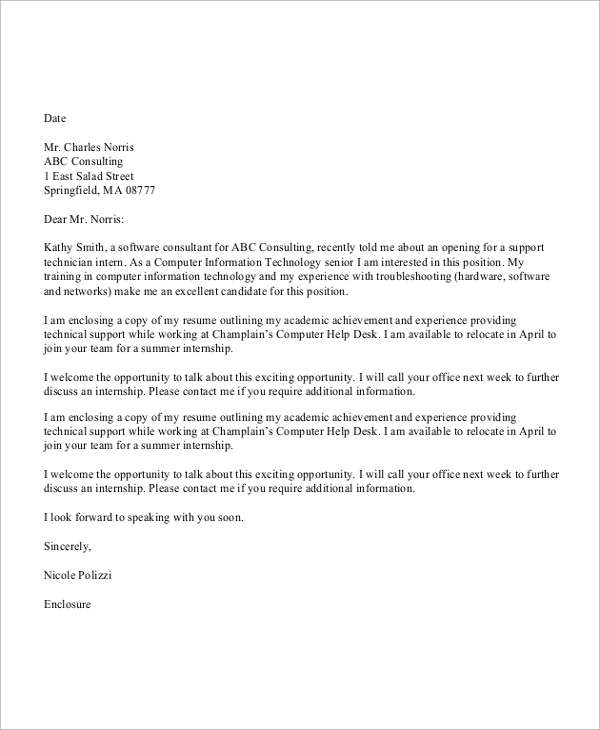 Sample Email Cover Letters Samples are useful as they serve as an introduction to the resume depicting who the prospective applicant is and why he/she has sent a resume to the employer. It gives a more detailed insight into one’s professional background about the job he/she has applied for, showcasing the skills he/she possesses. It depicts how to construct a perfect cover letter, thank you note, follow up letters and a letter of inquiry and also mentions when to send each. They also enumerate the rules and regulations to be kept in mind while constructing such business oriented letters. This provides a format with valid samples specific to internship application cover letter, prospector’s cover letter, thank you note, follow up after interview cover letter and online application for interested interns. 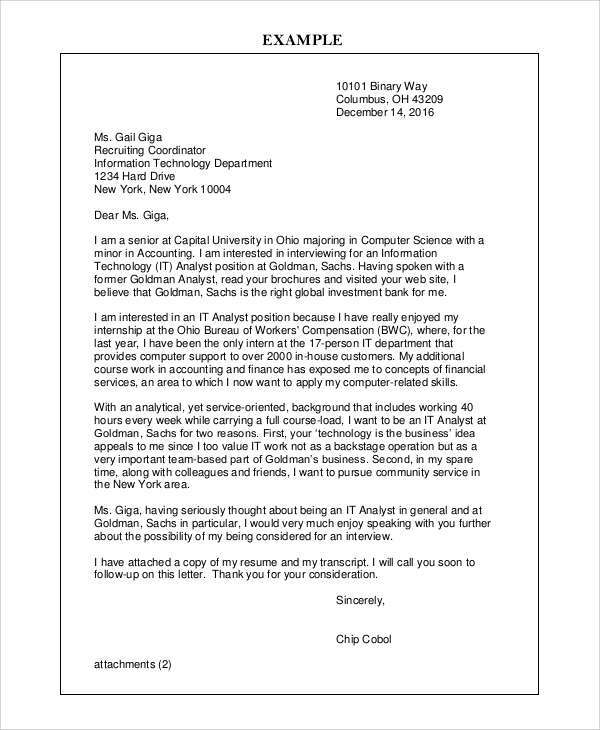 This sample provides the readers with adequate information related to the format and style to be employed in constructing a cover letter with a note of a help desk technician. To whom are these Sample Cover Letters Beneficial? Sample Cover Letters are beneficial to job seekers and interns of all professional and vocational fields to construct a perfect cover letter conforming to the rules and regulations, the perfect format made understandable by providing instances. They are most helpful to new interns and new job seekers who lack knowledge on how to construct an appropriate cover letter or when to send a letter of inquiry stemming from a lack of experience to get selected for the job and conform to the wants of the employer. They are saved from making unnecessary mistakes which might hamper their chances of getting the job. 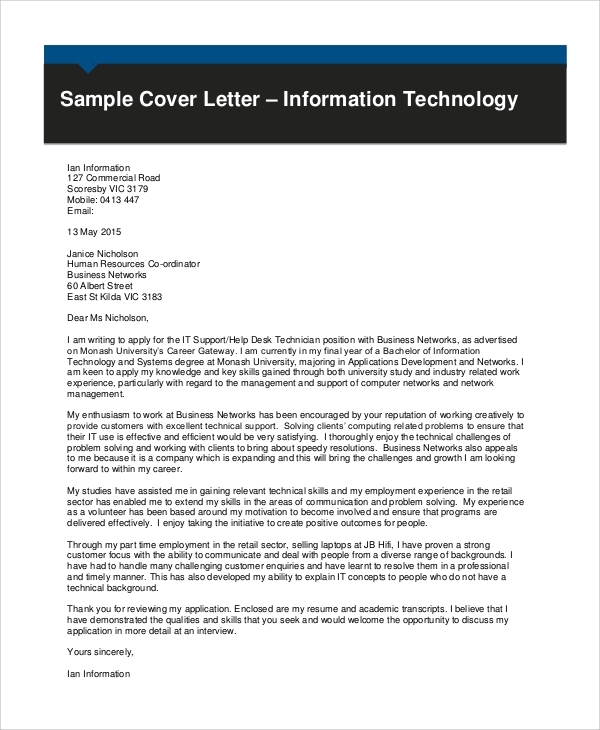 The Basic Cover Letter Samples provided above show the right ways to go about writing a cover letter, a letter of inquiry, a follow-up letter and thank you letter with real life examples and format related queries, a reminder of rules and regulations, knowing when to send each to the company.